Milled from Canadian Grown Organic White Spring Wheat which produces a lighter, lower gluten strength flour. A good flour to start with if you are switching your baking from ‘refined’ white flour to a much more nutritional Whole Grain flour. 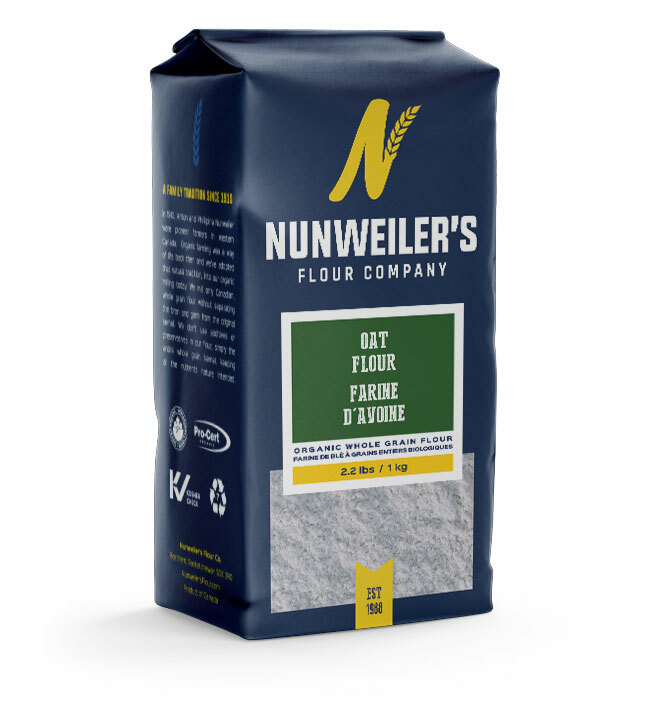 Since 1988 Nunweiler’s Flour Company have been milling whole grain flour without separating the bran and germ from the original kernel. No additives or preservatives are used in the flour, simply the entire whole grain kernel, keeping all the nutrients nature intended. This flour is ideally suited for cakes, cookies, muffins and pastries. It can also be used in yeast breads too when blended with other flours. Organic Whole Grain All Purpose and Pastry Flour. © Nunweiler's Flour Co. Ltd 2019. Site by Print Studio One | Three-Six North Marketing.